Police are hunting thieves who stole three cars worth around £90,000 from a car dealership in Sussex. All three of the cars were used Range Rover Sport 4x4s, each worth roughly £30,000. Police investigating the incident say that the vehicles were taken between 6pm on Monday 19 January and 8am on Tuesday 20 January from 4 Front Car Sales Limited in Nursery Lane, Warninglid. The vehicles were pilfered from the dealership's forecourt and the business will now be needing to call upon its motor trade insurance to cover the costs of the cars that were taken. A combined motor trade insurance can not only protect the cars stored on site from theft, it can also offer protection against damage to the building that might be caused by the unwanted attention of criminals. 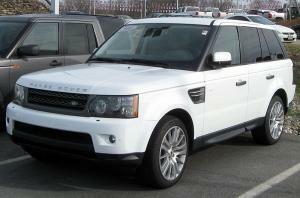 The stolen Range Rovers are coloured bronze, grey and white, the West Sussex County Times reported. The white car was later recovered in Kent but the other two remain missing. The bronze model bore the registration number GJ60 RLU and the grey vehicle WF11 WUC. According to the car garage, each car contained only enough diesel fuel to travel some 30 miles, and police are seeking witnesses and are keen to hear from anyone from nearby filling stations where staff might have seen the Range Rovers being refuelled.